﻿ CreekHill Farm offers professional hunter/jumper, dressage, pleasure riding, lessons and training to all ages in a fun and peaceful setting. 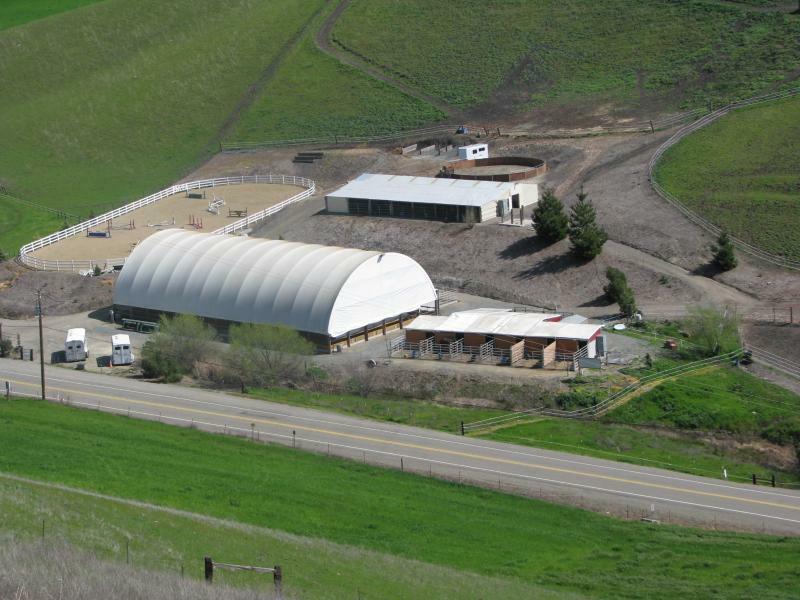 Centrally located in the East Bay, and only a 15 minute drive from Livermore, Danville, and San Ramon; Trainer Julie Harvey offers a fun and effective program at her own private facility. Whether you are a seasoned competitor or are just learning to ride, Julie can help you meet your goals. Our close knit family of riders offers a drama free and supportive environment that is all about having fun! Riding lessons are available for ages 4 and up, beginner through advanced. Lessons can be on your own horse or on one of our quality lesson horses. All of our packages are customizable to fit your schedule and needs. Horses in training at CreekHill Farm are treated with the most superior care. Whether your horse is a problem horse, a seasoned competitor, or just an old friend, we have a program for you! ﻿Call Us Today at 925-337-5375﻿!